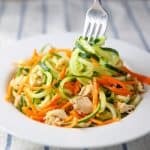 This Tuna Salad with Lemon Carrots and Spiralized Cucumber is so easy to make, healthy, and so flavorful! 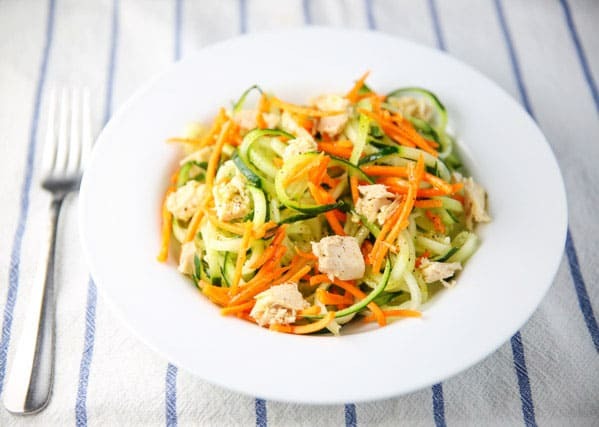 I’ve been trying to incorporate more healthy, quick lunches into my daily routine. 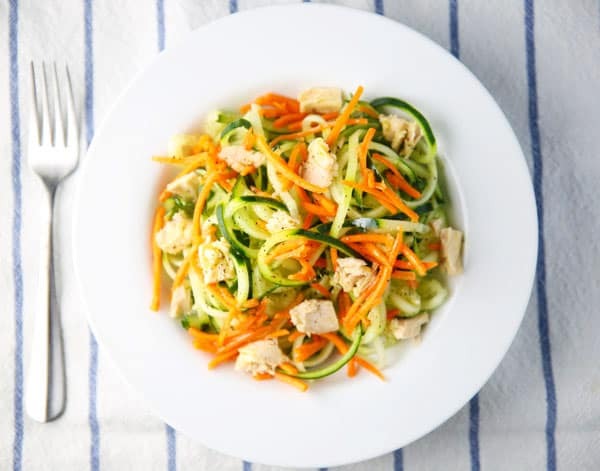 This meal only takes about 10 minutes to make which is perfect for those busy work days. You could definitely make this the night before and store in a air tight container, but don’t add the dressing until you’re ready to eat it, otherwise it will get soggy. The dressing for this is super simple. It’s a mixture of Lemon Juice, EVOO, Salt, and Pepper. Oh and make sure you use fresh lemons for the juice, the lemon juice out of a bottle will not give you the same great flavor. 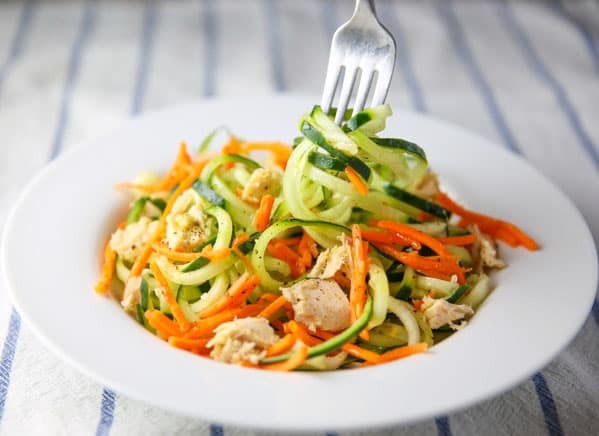 Then just spiralize a Cucumber, I used the smallest blade setting on my spiralizer. Add in some shredded Carrots, and a can of good quality Tuna. I prefer the wild caught Solid Albacore Tuna myself, the flavor is just so much better.